I have been nothing but please with Beulah thus far. My child had Mrs. Poole last year for Kindergarden and she was absolutely amazing. Very interactive with the students and the parents. This year, my child has Mrs. Burgess. I am so impressed with her up to this point. She gives a lot of work and my child eats it up. Her patience is beyond compare. The administration staff, I have had interaction with are fantastic and professional. Even the bus driver and cafeteria workers are great. I appreciate the staff and the teachers at this school. It is not easy when you have some parents that are very interactive with their children and some that are not at all. If your child is not receiving the education that he/she needs to be, it could be because learning starts at home! I struggled with the concept of public school or sucking it up and paying for a private school. I've been nothing but pleased so far and could not imagine my child receiving any better education than she is now. She has 4 more years there, but if the past two are any prediction, I am pretty sure we will continue to be happy. Last year was our first year at Beulah, my son came from Ferry Pass Elementary. We are so glad we moved, this school is great and just slowed how much the other school was lacking. Beulah Elementary is now a "C" school and that does NOT stand for cool! Lesson Learned... Do not choose your home based on the school grades in a particular district... you may be VERY DISAPPOINTED later on! STOP teaching toward the F-CAT, it's obviously not working. Don't cut out recess, field trips and extra-curriculars to do hours of F-CAT practice worksheets! That will not help. Don't base teacher evaluations, pay and job security on a tests score. This will not create better scores, but could possibly created bitterness and resentment toward those who underperform... Other schools in Escambia have gone up in grades or have maintained their A and B grade status consistently (even with all the recent changes)... Get with those administrators and find out what they are doing that you are not! Our students deserve an A School again! Go WILDCATS! OUTSTANDING SCHOOL!!! Amazing teacher, staff, even the PTA volunteers are amazing! I'm so glad to have my daughter attending this year. Such great interaction and I love that they keep my up to date with the important things of the week and not nit-pickey day to day nonsence. We really like this school. We move around (the country) a lot (my kids range from 15 to 7) and this is one of the most friendliest schools my kids have attended. This is our 3rd year here and I will be sad when we have to leave. The teachers are involved and keep parents involved and informed. I don't know what the previous poster was talking about but I get a phone call from the school when my kid is absent and I forget to call her in sick. We will miss Beulah if we have to leave. Not satisfied with the gifted education program. Identified gifted kids bussed to another school once a week and then they are held accountable for work/hw missed and miss out on special school events such as heritage day, soc hop and chorus, which are scheduled on the very day they go to the gifted program. My child was told that it was optional to go. That is my decision not theirs. I am unsatisfied with the IEP planning at this school. I do not feel they are individualized or properly implemented. The last IEP meeting I attended only one representative from the school showed up. I am aware that I also need to be more proactive regarding this and intend to do so! My child has been held to rules not outlined in any handbook or classroom rules agreement and other rules that are outlined such as dress code seem to be overlooked daily. I feel this creates confusion for children. To end on a positive note, my children's teachers are kind and respectful to me and my children and they have always responded with gratitude to the time, energy and resources my husband and I have contributed to bettering our children's education. 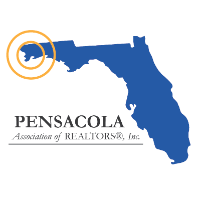 When moving to Pensacola one of the main things we looked into was schools. We read about how great this school was and found ourselves a home in the area. Well I don't what others consider when deciding a school is great, but it sure isn't the same things I do. When my student is absent and I forget to call in, no one calls to notify me of his absence. Umm safety issue! I don't know if this is common in Pensacola, but where I'm from you call in and notify the school your child won't be there or they call you to make sure the kid is safe at home. My student is gifted and we(even my son) have asked the teacher for more enriching work and have been ignored. He's in the gifted program and it's nothing more then "projects" . This school is not even close to what I would consider a decent place for my child. I moved to this area because I was told how great Beulah is. Not the truth. I have now been told more than once and by more than one staff member their that they are to many kids for them to keep track of them all. 'm sorry but that is not an acceptable excuse. The teachers really care about your child and get to know the parents by name. They organize family school activities and really get the parents involved. This is only my first experience with the school system. To be honest I am delighted with Beulah, the teachers, the staff, the Principal, even the volunteers, everyone is proud of their school and their accomplishments. NOTHING is too much trouble, and learning is fulfilled in whatever way it takes to help the children learn it. This is a GREAT school and a wonderful environment. My daughters spent 5 years in a local private school until we moved and I visited Beulah. Hands down one of the best public schools in Escambia county. Loving teacher,low child to teach ratio and tons of fun field trips. The prinicpal shows her leadership with the PTA with the 100% enroll with parents. If I could give more stars I would. Go Beulah Wildcats!!!! Beulah is an excellent school with quality teachers and administrators alike. As an educator myself, this is a teacher's dream job. Learning is a priority along with extracurricular activites. The parent involvement is tremendous and I believe help make this school even more successful and productive! I could not be any happier with my childs education thus far. Very happy with every teacher and every staff member I have meet. I love being envolved and knowing what is going on at all times. I and my son feel at home at Beulah. They make you feel like family. Excellent school, great teachers. My child did very well at this school. I would recommend it highly.